More than 20,000 people are expected to attend a weekend of events taking place in Inverness. 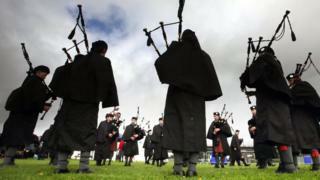 The Inverness Highland Games will be held on Saturday and the Inverness Gala and a Bryan Adams concert on Sunday. The weekend will be one of the busiest of the year for the city and will involve a number of road closures. It will see heavies' events such as tossing the caber and hammer throwing as well as shinty competitions and music from pipe bands. Crowds will return the following weekend for a concert by singer Olly Murs.